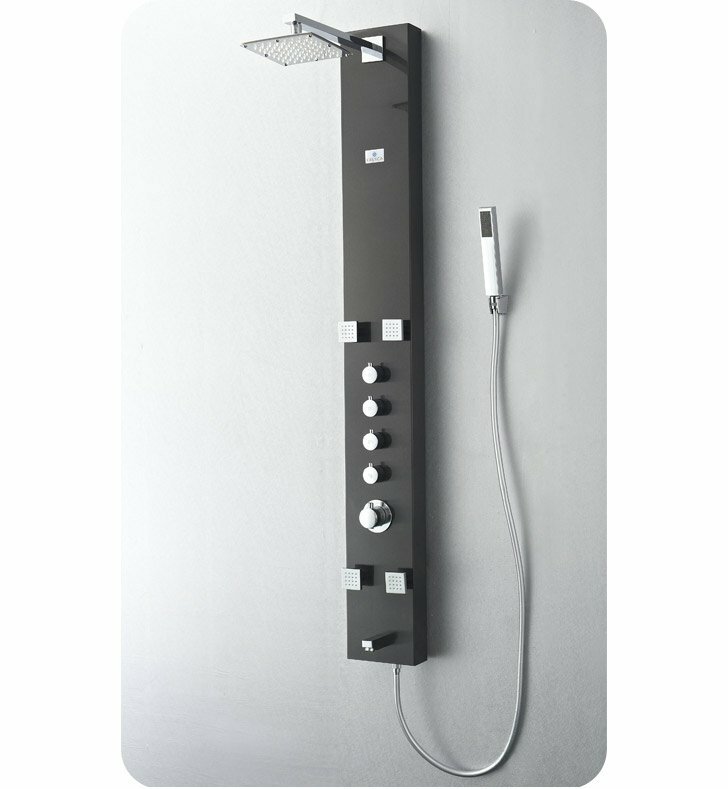 Showering may become your new favorite pastime with the Fresca Pavia Shower Massage Panel, part FSP8001BG. 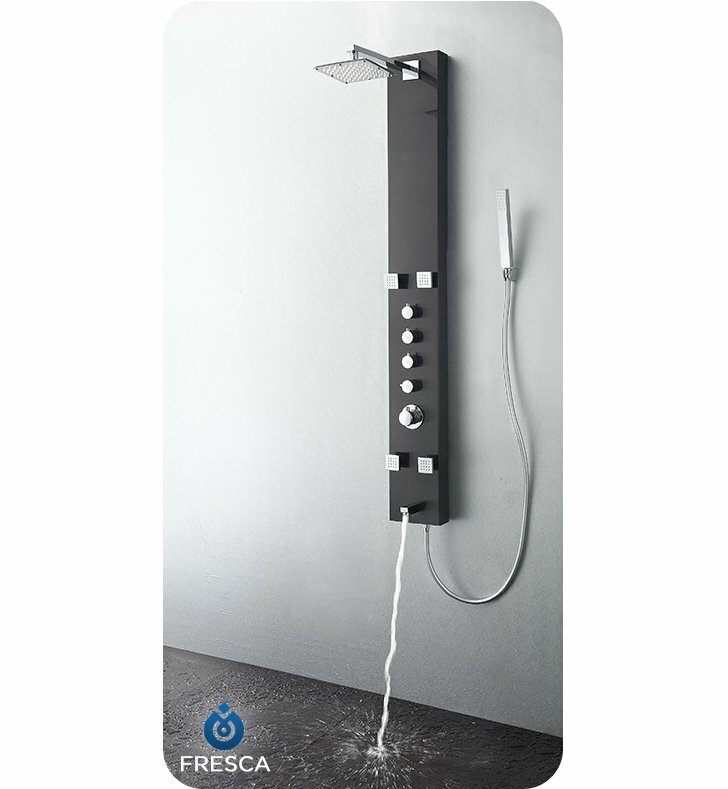 This H 59" x W 7" x D 18" thermostatic shower massage panel offers four separate swiveling massage jets with control knobs for each and a master control for temperature and water pressure. 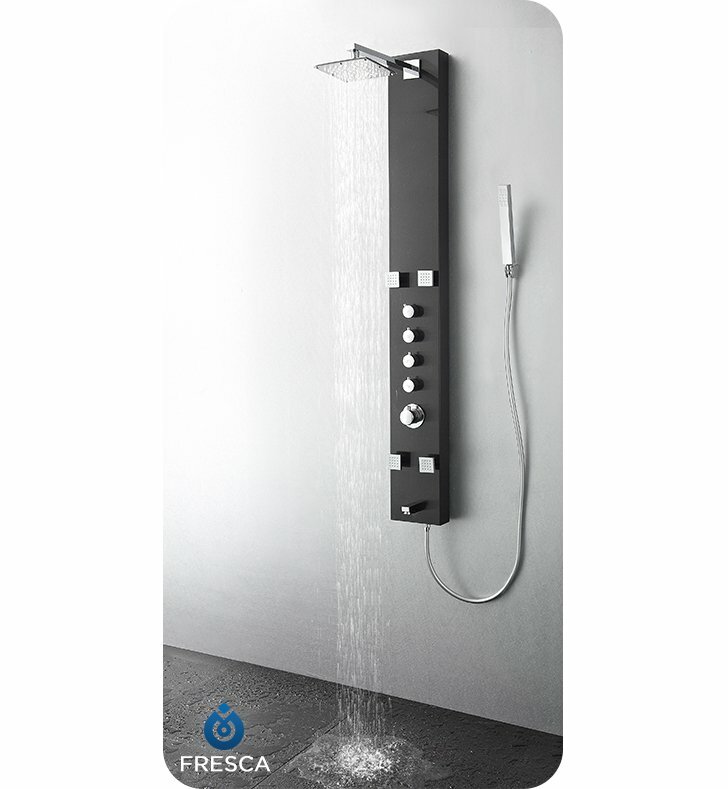 A large 7" shower head creates a wide shower, while a handheld attachment lets you direct spray where you need it. The moisture-resistant brass construction ensures longevity, while a warm brushed-gray finish and chrome knobs create a stylish appearance.